Tim from Deer Island mailed the following thank you letter for service provided July 12, 2011. I just wanted to send off a quick note to you to say how wonderful the service was that I got from your employee Michael Klobes yesterday. 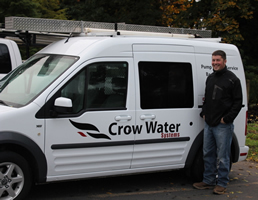 Michael was on time, very knowledgeable, professional, efficient, and took banter very well. He had come out to the ranch to help me with an electrical situation of a new exterior tank and pump I had purchased, and did a superior job. Everything works fantastic. 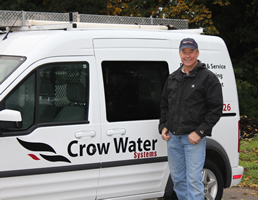 This reaffirms my recommendations to anybody that has a water situation that they need to call Crow Water Systems. Excellent Service Last night at a little after 8pm our pump died on the well. We called Crow Water and he was at our house the next morning on Sat. at 8am and he was finished with the job within the hour. He made sure the tank was flushed and the pressure was back to normal before he left. 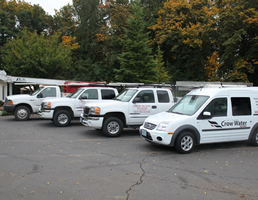 Excellent Service from a local company! If you would like to find more information on the construction of your well you may look up any well log construction information available at the OR Water Resources Department website.